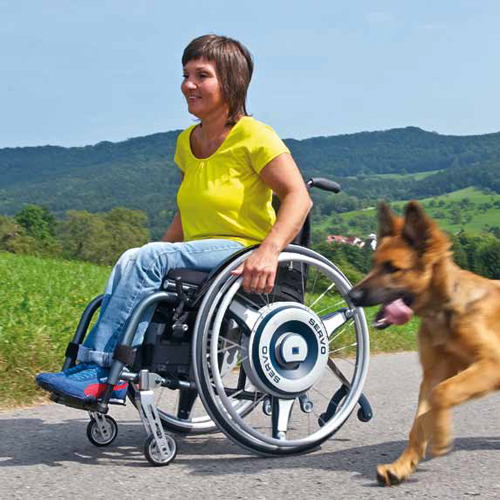 Feeling limited in your wheelchair due to your arm strength? Then meet the SERVO by AAT. 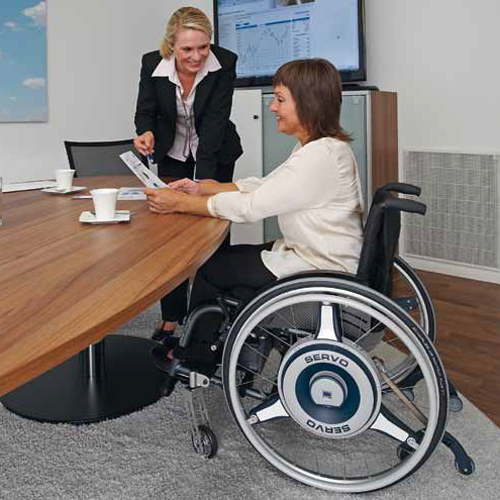 The SERVO power assist wheelchair device makes it possible for wheelchair users — even with reduced strength — to move independently and go places. Its standard program to drive uphill and downhill—as well as its intelligent braking function— make driving safely possible. 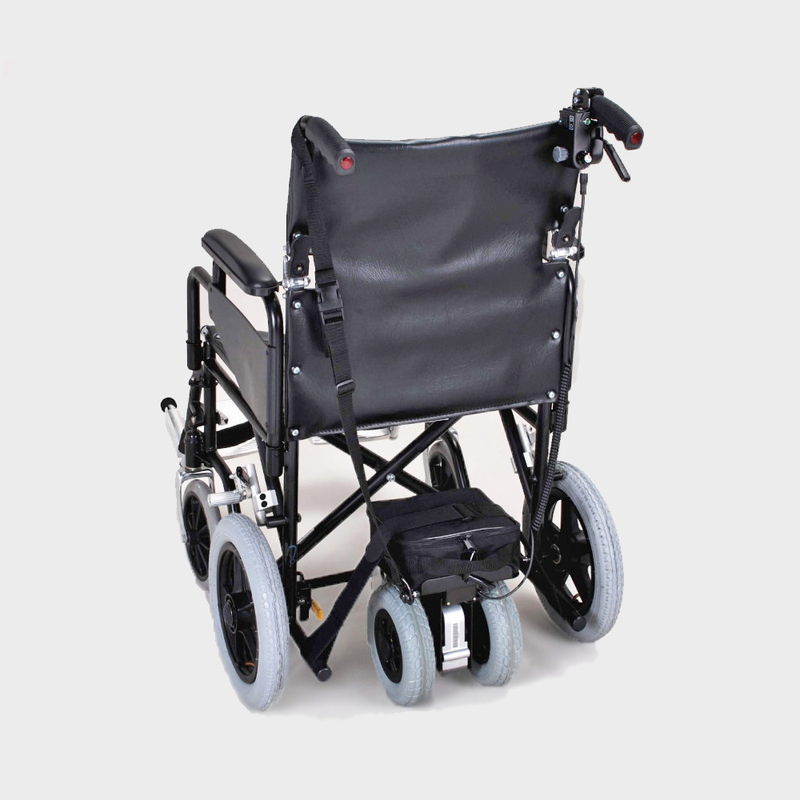 High-capacity motors, discreetly blending into the wheels, support the wheelchair user’s initial movement. 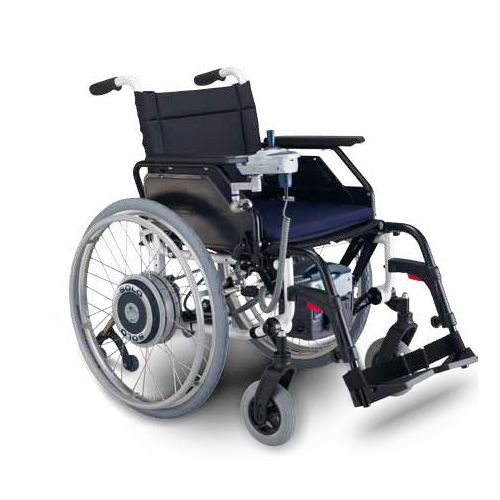 The SERVO responds to you pushing the wheels and adds power of its own, thanks to the improved sensor system. All without noise, thanks to its gearless design! 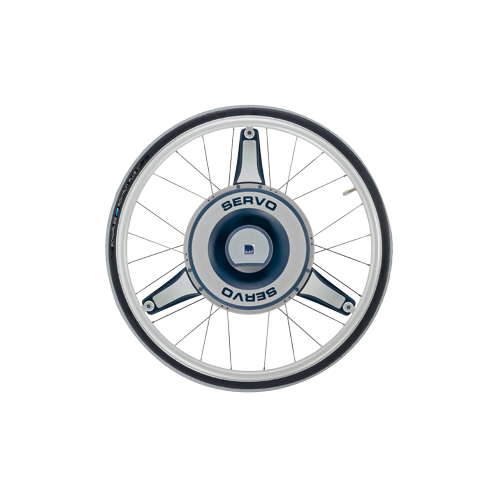 The SERVO – powered wheels are disengaged easily and without tools. 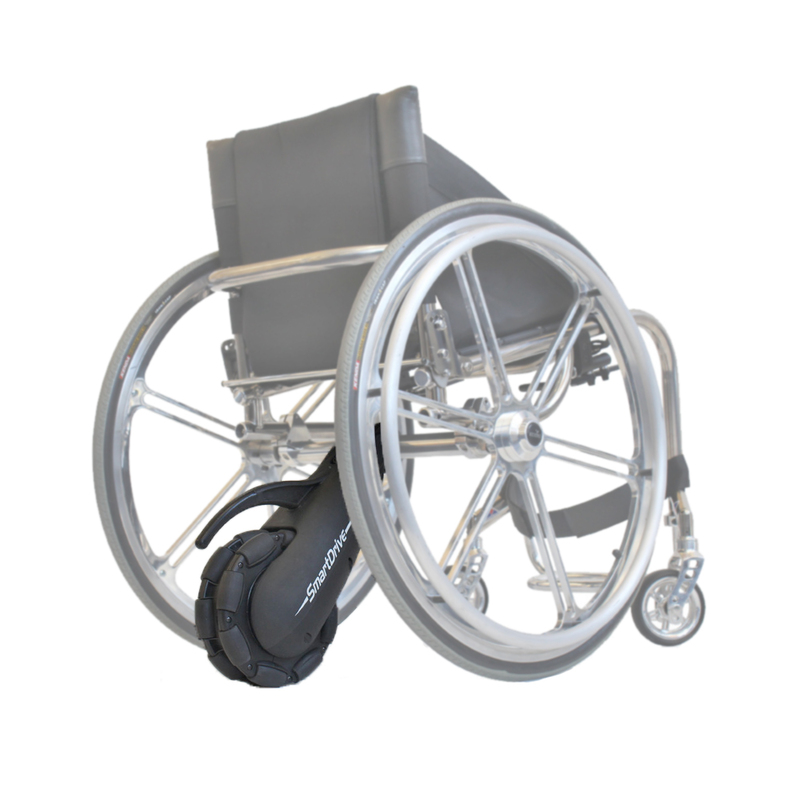 Any foldable wheelchair with the SERVO attached can be folded as normal! The SERVO fits into almost into any car boot. 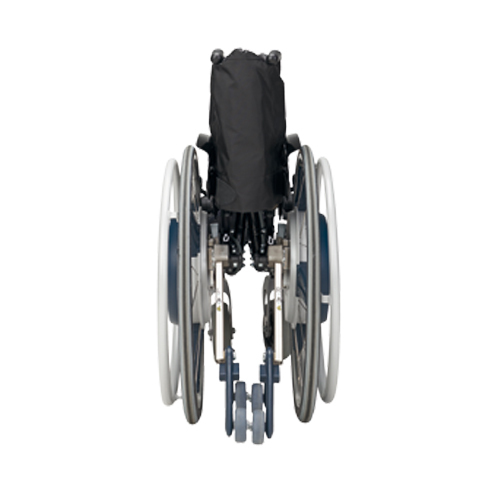 Due to the SERVO’s new wheel mounting system, NUI, the powered wheels are easily stored next to or on top of each other. ALPHA – AAT Lithium Power High-range Accumulator – is AAT’s new battery technology. Simply put, it’s the reason why a battery weighing only 4.2 kg can take you up to 55 km. 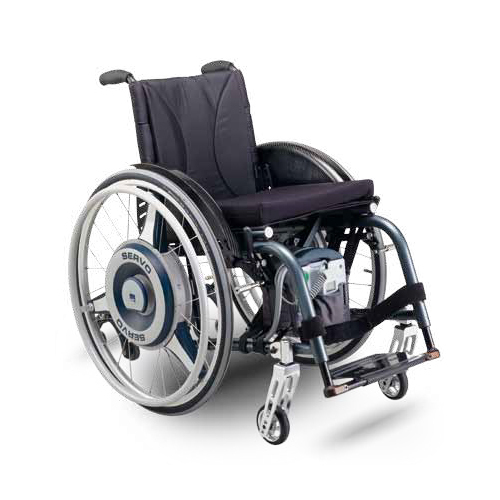 The newly developed mounting and locking system, NUI, does not need stud axles any more, which makes fast and effortless mounting of the powered wheels possible. 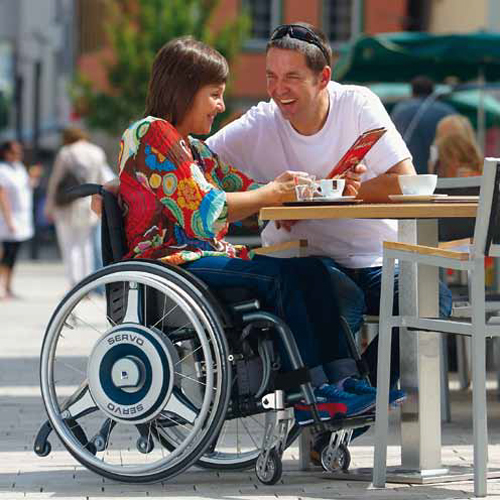 The SERVO can be mounted to almost any wheelchair – no need to do without the chair you are used to! (2) As per ISO 7176-4, the range depends on the person’s weight, the terrain, temperature, etc. 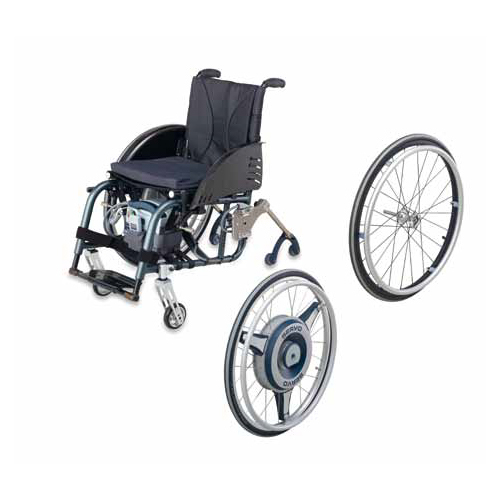 (3) Up to 20% at a total weight of 160 kg, and up to 14% at a total weight of 200 kg. The braking – / climbing capacity also depends on the person’s weight, the terrain, temperature, etc. 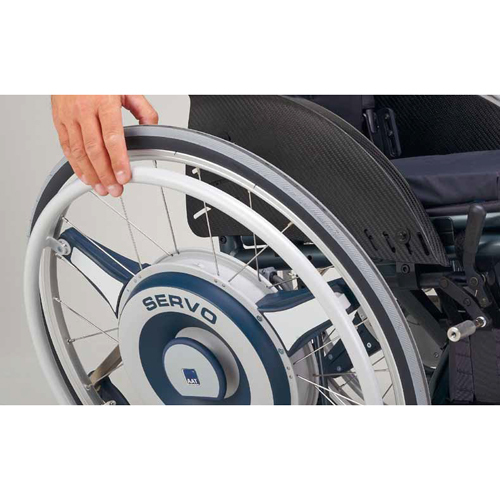 The SERVO is a completely equipped power-supported accessory drive for your manual wheelchair that is composed of powered wheels, battery pack, interface, charger and control unit. 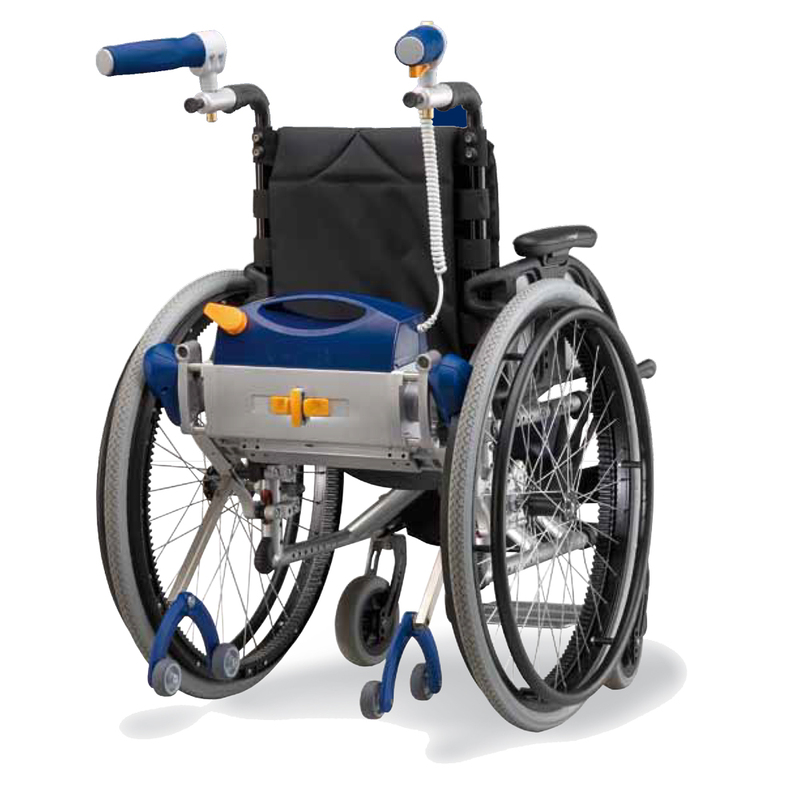 Brackets are available as an accessory for almost all wheelchair types. 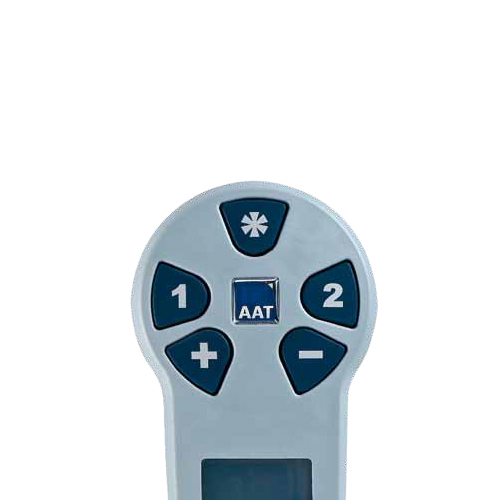 AAT offer a great variety of accessories so that you can adjust your SERVO optimally to your needs and demands.